We manufacture wide range of Veterinary Instruments from General Surgery Instruments to Specialized procedure kits. Cat and Dog Spay Kits, Equine Instruments, Farrier Hoof Tools, Castration Instruments, sheep, rodent, entomology tools and pet instruments. All tools are made from finest raw material under strict quality control. Procedure Kits have all the necessary tools to perform the that specific procedure. 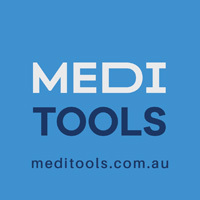 All tools are made of surgical grade stainless steel used by professionals.